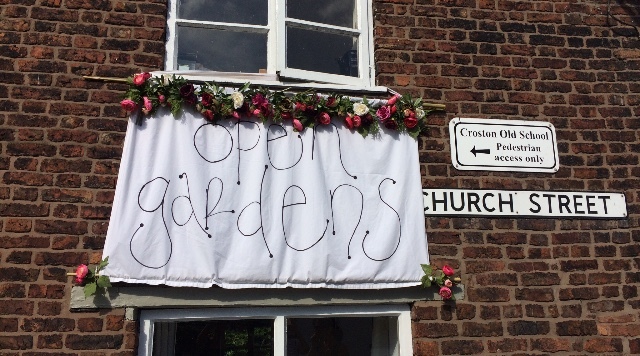 Croston Open Gardens returns on Sunday 1st July with 16, very different gardens opening their gates and welcoming you in, including a pop up garden on the recreation ground showcasing the exciting proposed plans for this site. Again, the Old school will be the HQ for the day, with Morris dancers, a plant and flower stall, cocktails, chocolate stall, vintage fast food van and tea and cakes. Each visitor will be given a hand drawn map which will guide you through the village to each of the gardens. The children from our village school will be creating another fantastic art installation on the grass by Charlie Holt’s little artist studio. All proceeds go to our Croston together charity which supports village organisations and new initiatives. Tickets on sale from Tuesday at The Potting Sheds, Thyme on the Yarrow cafe Croston or at The Old School on the day.